I get a lot of questions about preparedness through comments on my blog, on Facebook posts, and via email. I get all types of questions, but the #1 “category” I’d put them in is questions about the LDS Home Storage Centers (formerly know as the LDS Cannery). And for good reason! 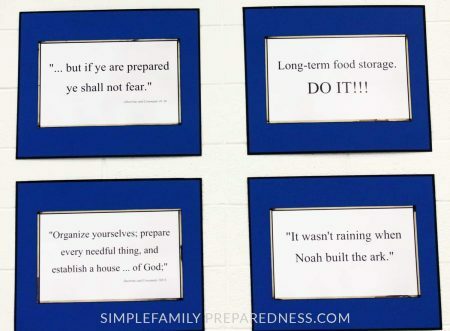 The LDS Home Storage Centers are a fantastic food storage resource! Unfortunately, for many reasons the LDS Home Storage Centers are a bit of a mystery to many members of the LDS Church (The Church of Jesus Christ of Latter-day Saints and more commonly called the Mormons) as well as those who are not members of the LDS church. Today, I want to clear up any confusion and make it clear that these facilities are a fantastic resource for anyone and everyone seeking to build up their food storage! As I mentioned above, the LDS Home Storage Centers used to be called LDS Canneries. Each LDS Cannery was a location where anyone could go to self-can their own long term food storage on site. In 2013 the LDS church announced that it would begin making some changes to the canneries. No LDS canneries were closed, but rumors of this happening flew all over the internet which may have contributed to much of the current confusion over the new and improved canneries–now called LDS Home Storage Centers. What really happened is that the number of facilities where the self-packaging of dry goods occurred on-site was gradually reduced. By 2015 most LDS Canneries had stopped offering the ability to self-can products on site and became LDS Home Storage Centers. The few remaining facilities stopped offering self-canning in the fall of 2016. The LDS Home Storage Centers now offer the same (and additional) items in prepackaged form at no additional cost. The reason for change this was two-fold: (1) It was more efficient and cost effective for the LDS Church to prepackage the food and offer it for sale that way rather than supply and ship pallets of empty cans around the country, and (2) It was also more efficient and cost effective to not have to maintain the loaner can seamers that patrons could check out for free. The food now available for purchase is the same food that was available before the change. It is properly packaged for long term storage and available at the same low prices. Plus, there is now less of a time investment from those of us who benefit from the LDS Home Storage Centers. This is why I say these “new” facilities are actually improved facilities! As I thought about writing an article on the LDS Home Storage Centers, I wanted to be sure that the information I brought you was accurate, clear, and helpful. I also wanted to answer as many of your questions as I possibly could. So, I contacted the welfare department of the LDS church directly, and they were so very kind to work with me and get most of your questions answered! Here are 24 questions and answers! #1 – Who is allowed to buy food from the LDS Home Storage Centers? Anyone can purchase products from the LDS Home Storage Centers! You do not need to be a member of the LDS church. The LDS church wants to help anyone and everyone become more self-reliant. #2 – How do I find out if there is a LDS Home Storage Center near me? There are currently 101 locations in the United States and Canada. To search for the location nearest you click HERE. Then simply put in your zip code, and the locations nearest you will be highlighted on the map. Click on the location, and the address and phone number will pop up. Alternatively, you can also find a list of all locations and their hours HERE. #3 – What is available for purchase at the Home Storage Centers? #4 – What is a visit to a Home Storage Center like? From Misty: I have visited many Home Storage Centers, and my experience has always been fantastic! If you have not gone, GO! Don’t stress about it or get nervous! The volunteers are very knowledgeable, kind, and helpful. They will put you at ease right away and help you find and determine exactly what is best for you and your family! Every single visit I’ve ever had to a Home Storage Center has been wonderful! The one I went to most recently even had a coloring station for my kids so they were occupied while I shopped. If you want to, you can pre-print this order form/price list (US English) and just give it to the volunteers once you arrive at the Home Storage Center to help speed things up as well. There is also a Spanish form available as well as one for Canada. HERE is a fun video of Al Fox Carraway visiting a Home Storage Center recently, and HERE is one that has been produced by the LDS church. #5 – If there is not a LDS Home Storage Center near me, can I have the food shipped to me, and what does it cost? Yes, you can have the food shipped to you if you live in the United States. There is no shipping cost, but the prices are a bit more expensive than purchasing in-person from a Home Storage Center as the shipping costs are included in the price. To place an online order, click HERE to find the online store. 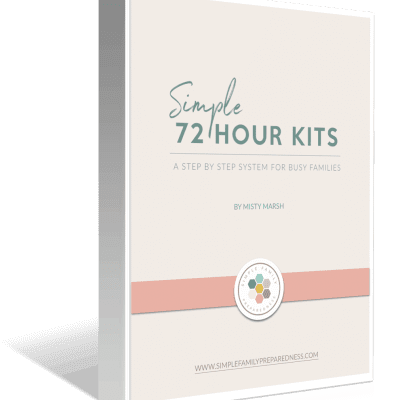 #6 – How long does shipping take if I order from the LDS Home Storage Center online? Orders typically leave the distribution center within a day or two after they are placed, but when you get your order depends on how quickly Fed Ex can get it to you based on where you live. Orders are shipped from Utah via Fed Ex ground. Larger orders may be shipped by Fed Ex Freight. An email confirmation with shipping information is sent with tracking information once the product is shipped. From Misty: You can use this map to estimate how long it will take to get from Utah to you via Fed Ex Ground. Remember to factor in the 1-2 days it will take to leave the distribution center in Utah. #7 – Can food be shipped internationally from an LDS Home Storage Center? If so, how and what is the cost? Unfortunately, at this time, food items from the home storage center cannot be shipped to addresses outside the United States. #8 – What is the return policy for food purchased at the Home Storage Centers? All items, except 25 pound bulk bags, can be returned or exchanged within 90 calendar days after purchase. Bulk items cannot be returned or exchanged. Return or exchange items at any home storage center. Refunds will be limited to the current selling price of that item in the store. Unless a product is defective, returns and exchanges will only be accepted if the item is in new condition. Refunds will generally be issued in the same method and currency of payment as the original payment, but we may choose, at our sole discretion, to issue refunds in another form or currency as we deem appropriate. #9 – Are there any LDS facilities that still allow you to can food on site? As of Fall 2016 the LDS church welfare system no longer has facilities where families process/can items on site. Instead, they do this for you and allow you to purchase pre-packaged foods at an extremely low price. 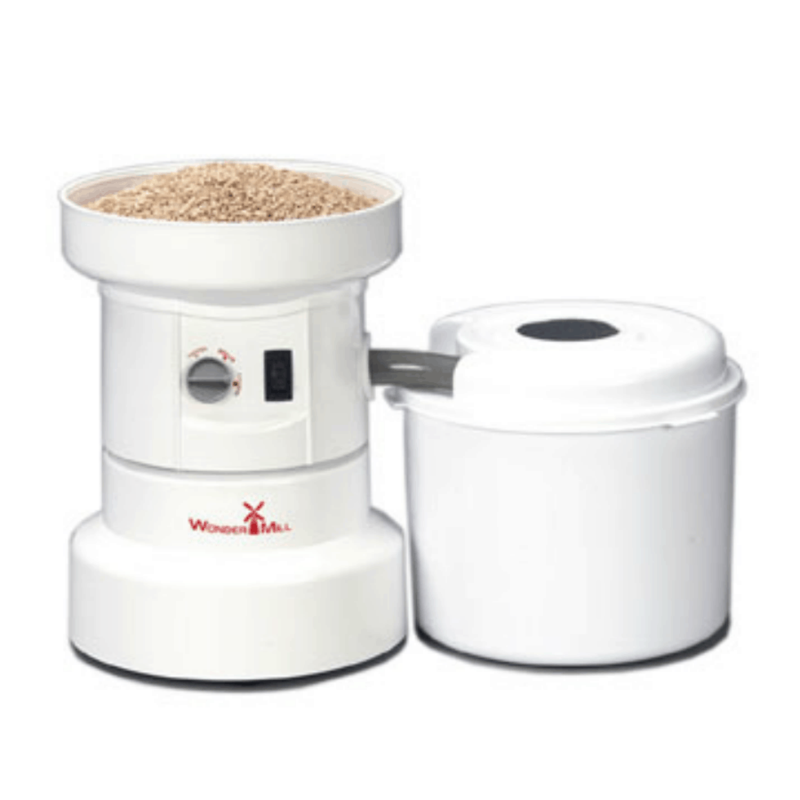 #10 – Are there any facilities that still allow you to rent a canner to dry can food at home? No, canners are no longer available for checkout from any Home Storage Center. It is much more efficient and cost effective for us to can the food for you. #11 – Why do Home Storage Centers no longer allow for on site canning/renting canners? It was more efficient and cost effective for the Church to prepackage the food and offer it for sale that way rather than supply and ship pallets of empty cans around the country. It was also more efficient and cost effective to not have to maintain the rental can seamers. However, the food is the same, and it is properly packaged for long term storage and available at extremely low prices. #12 – Are there any suggestions of where individual LDS congregations or other groups can buy a dry pack canner to use to dry pack food they get from sources other than an LDS Home Storage Center? No, the LDS Church does not/cannot endorse any specific company. From Misty: Dry pack canners are expensive! If you can get a group together to go in on one, I’d suggest purchasing it from Gering and Son HERE. Anyone can purchase one from them. If you are a leader of an LDS ward or stake, they can also invoice you that way. #13 – Any suggestions of where to buy empty #10 cans? From Misty: You may be able to get cans, lids, and oxygen absorbers from local food processing plants in your area. If you want to purchase cans online, you can do so HERE. I get my oxygen absorbers on Amazon. You can learn more about using oxygen absorbers HERE. #14 – Is there any way to get samples of products without investing in an entire #10 can? Yes! Some (not all) LDS Home Storage Centers do have some samples available. You can find out by calling your local LDS Home Storage center before you visit. However, if a sample is not available, the price of one full can is not prohibitive. So, start with just one can of the foods you’d like to try. If, in the end, you do not care for a certain product—give it to a friend and bless their life! #15 – Where is the food sold at Home Storage Centers sourced? The LDS church does not have a specific list available because the list would always be changing depending on price, droughts, flooding, poor growing seasons and many other factors. #16 – Is any of the food from China? The carrots and onions in the LDS Home Storage Center may sometimes be sourced from China. They are currently washed, trimmed, cut, and dried, and packed in bulk in an FDA inspected plant in Illinois, but they may be grown in China. Pesticide and herbicide residues are tested to make sure they are within US EPA limits, and they are non-GMO. #17 – Does the LDS church grow all the food or is it sourced from other farmers? The following items are usually all grown directly by the LDS Church on our many welfare farms: Black Beans, Pinto Beans, Great Northern Beans, Hard Red Wheat, and Hard White Wheat. Some food is sourced from others that we have approved as suppliers. Part of that approval process is to assess their commitment to food safety. These other home storage foods are purchased by us, and we repackage them in Church processing facilities. If we were to have a higher demand than our production, we may purchase any item from other approved suppliers. #18 – Will LDS Home Storage Centers open in any other countries soon? We do not currently have any plans for opening in other countries. There needs to be a large number of church members in a specific area for this to be effective. Shipping costs and laws pertaining to the export/import of food is also a large factor. #19 – How do you keep costs so low at the LDS Home Storage Centers? Most of those who work on the LDS church’s welfare farms and the LDS home storage centers are unpaid volunteers. From Misty: You can find out more about these volunteers HERE. In addition, we have fewer “middle-man” type costs because we grow much of our own food and make many of our own formulated products. Last, we are only looking to cover costs and not make a profit, so we are able to pass those savings on to those who shop the home storage centers. #20 – Does the LDS church turn a profit with the food they sell at their Home Storage Centers? Nope! 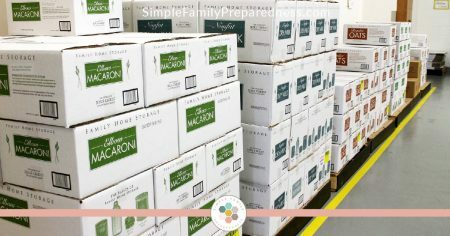 We do our best to simply cover our costs so that long term food storage can be available to as many people as possible! 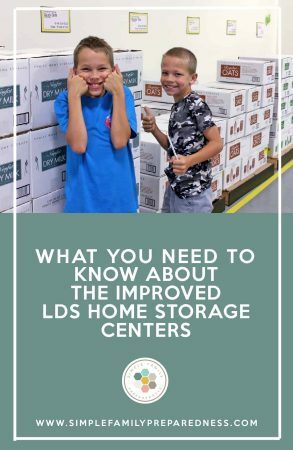 #21 – Are there any plans to expand the variety of items offered at LDS Home Storage Centers such as freeze dried foods? It is highly unlikely that the church will carry freeze dried items. The LDS church does not have the equipment to freeze dry products, and its very costly. The LDS church tries to meet the needs of the majority of the population by sticking with basic products. From Misty: They did just add real honey at a crazy good price! #22 – Is there any chance LDS Home Storage Centers will have non-GMO and/or organic foods in the future? 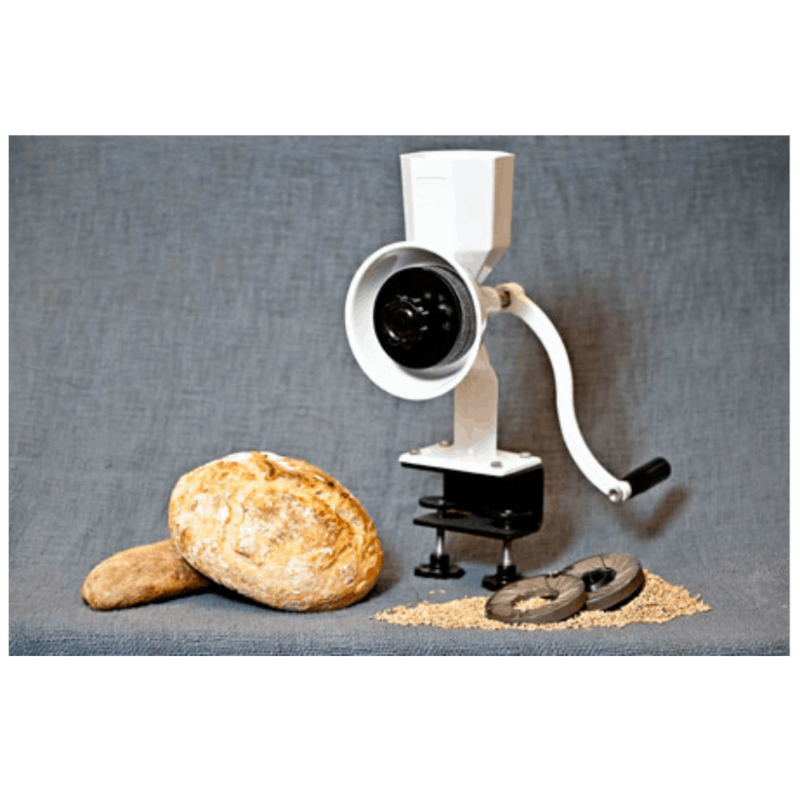 In addition, our apple, potato, and rice suppliers currently do not supply us GMO products, to their knowledge, but there may be opportunity through cross-pollination or common use of harvesting equipment to introduce some GMO in these agricultural products. But to our knowledge, these products are also non-GMO. Most of our sugar does come from GMO sugar beets, but because sugar is a highly refined product, the structure of sucrose (table sugar) is the same whether it comes from a GMO sugar beet or some other source. However, you should know that we have no policy on avoiding GMO, and we do not place a claims on our labels because the definitions change, and switching labels costs money. This means that the best way to know what contains GMO, or not, at any specific time is to call the phone number provided on our products for such questions (1-800-537-5947). #23 – How much food does the LDS church recommend that each family store? Why? The current recommendation from the LDS church is found in this short document titled All is Safely Gathered In. It is recommended to have a three-month supply of food that your family normally eats and for longer needs have a supply of food that will last a long time that you could use to stay alive. They encourage all to be wise as you build your food storage, not going into debt, but instead using careful planning and gradually building the food reserves. They encourage that you store as much as your circumstances allow. This resource provides a list on how much food is needed per person and per year. The Home Storage Centers provide some of the basic foods on this list. Additional products will need to be purchased from a grocery store. The foods on this list are those that will help to ensure we are getting basic nutrients in times of need. #24 – Why does the LDS church have Home Storage Centers? If they are run by LDS volunteers, why do they allow non-members to buy food there? The Church of Jesus Christ of Latter-day Saints has Home Storage Centers to help support families in building a basic supply of food in their own homes for times of need. Food storage provides an opportunity for families to be self-reliant when hardships come their way. It could come in the form of a natural disaster, economic downturn, loss or employment, sickness, and even the loss of a family member. You can find more information HERE on why the LDS church recommends having food storage. This is true for members of The Church of Jesus Christ of Latter-day Saints as well as for members of other churches – or those of no religion. We believe the food in our home storage centers is for all people that need it and encourage all others to be willing to share with their neighbors in times of need. I just want to offer a heart-felt and very sincere THANK YOU to the welfare department of The Church of Jesus Christ of Latter-day Saints for taking the time to answer these questions for us. They did not have to do this, and I, for one, found it insightful and helpful. 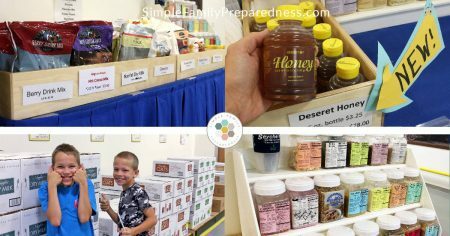 The LDS Home Storage Centers are a fantastic resource for getting started with basic food storage. Their prices cannot be beat and the service and support you will get from those who volunteer there is fabulous! 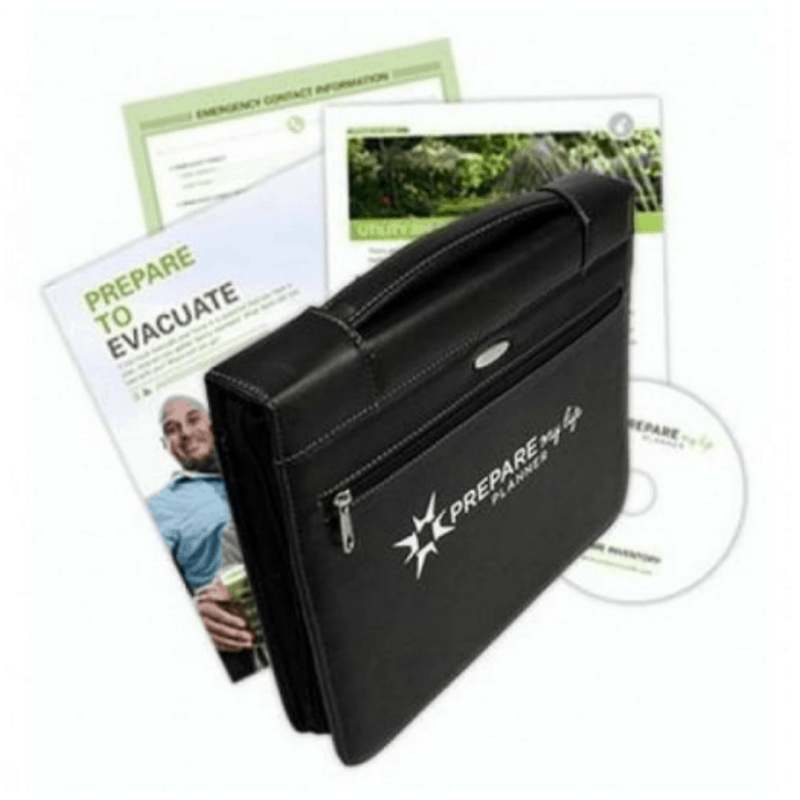 They are knowledgeable, kind, and sincerely want to help others become more self-reliant and prepared. To search for the location of the LDS Home Storage Center nearest you click HERE. So, will you be making a visit to an LDS Home Storage Center soon? Thank you very much! Great article. Can you tell me if any of the products contain a pork? Are any of the ingredients in the potatoe flakes sourced from pork? Excellent information. I have been to the storage center closest to me (about 3 hours away) multiple times. The volunteers working there are always very nice and very helpful. I have asked why they don’t have corn or corn meal and they didn’t know. I wish they carried that. I hope to go back soon. Thank you for the great information! My family loves all the food that the church sells. I have one question. Why doesn’t it sell Kidney Beans? I have recipes for all my legumes and wish I could buy kidney beans from the church food storage food stores. Hi Misty I’m having a hard time finding a packaged date or expiration date on the items purchased from the home storage center (cans and pouches) can you help me? The dates are on the boxes not the cans or bags themselves. Thanks for this FAQ! I’m LDS, but am one of the people for whom Home Storage Centers are a complete mystery! I have one about 30 mins away that’s open tomorrow! Sweet! Hi Misty, I noticed in this (excellent!) article that the link to where you purchase your Oxygen absorbers has been struck-through. I have usually purchased mine from providentliving.org’s online store. Is there any other supplier for Oxygen absorbers you would now recommend? I really loved your helpful article and was wondering if you know of a Canadian version of LDS Storage Products to purchase online? I used to order from USA but they no longer ship food items to Canada. 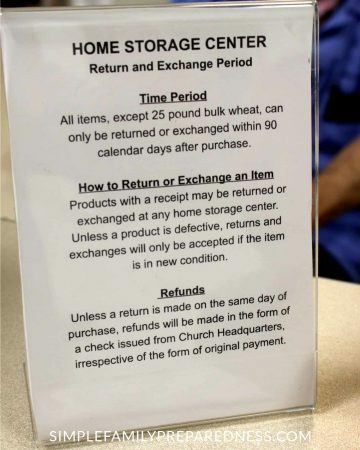 The LDS Home storage center is a great place to get wheat! Thank you for your in depth information. I am a Church Service Missionary for my local Home Storage Center. I find it amazing that so many members to do not even know that the Store is still open and stocked. We had an Open House yesterday to begin getting the word out to all the stakes in our district. We had a great response! We are instituting a program that helps you build your food supply at little each month. It costs about $10 per week and at the end of one year you have a year supply for one. It helps take the guess work out of the process and keeps it at a reasonable cost. It is called the $10 a week Club or the Basic Box program. It will soon be brought to all the storage centers. Can you please share that program with me? Also, do you have any Open House information you can share? Thanks. I noticed the church no longer has beef or turkey chunks listed on their order form. Do you know if those are available by some other means? I have not found a better source of canned meet anywhere. Unfortunately Dan, I don’t know. I haven’t seen them for a while though. This was incredibly informative and a great look “behind the scenes” at what the LDS Home Storage has to offer and how it has evolved along the way. I’m not a member of the church myself and I appreciate the fact they offer the same not-for-profit pricing to any community member, not just members of the church. It actually makes me wonder if you know if it’s possible to make a contribution that would help someone else on their self-reliance journey, either by “pre-paying” some food that workers could give out at their discretion or if there’s a way to purchase some additional food that could be added to a food pantry at the local ward or something? It’s just a thought, but it seems like something that would be worthwhile and a way for us non-church members to show our appreciation for the welcome and inclusiveness being shown here. Oh my goodness Staci! How kind! I would suggest calling your local center and asking! I would think that you should be able to do something like that if you wanted to! 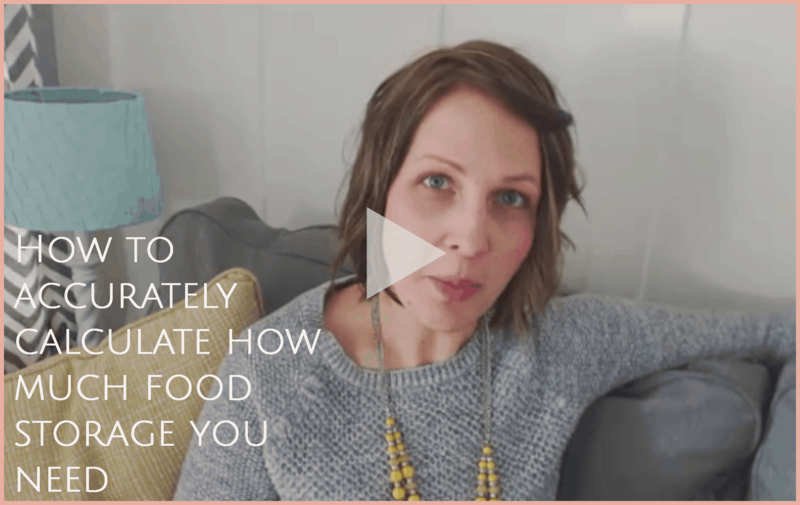 One thing that might be important to note for people who are reluctant to start their own long term food storage. If there were a MAJOR food crisis then the LDS Church only has enough food to cover about 4% of its membership. 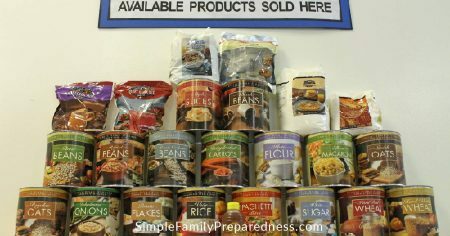 It is important for families to take care of their personal long term food storage needs. Families cannot plan to rely on the LDS Church if a crisis occurs. Oh, for sure Christi! That is why they encourage people to go stock up NOW. This isn’t the storehouse where they give food away to help those in need. This is a center where people can go buy food storage. It is there to encourage exactly what you have suggested! On the on-line order form it lists a water filter for a Countertop Water Filtration System . I don’t? But I bet if you called the center nearest you, they’d know! What a great article. I did click on the price list and it is a blank form. Am I missing something? Thanks! Are you on a desktop / laptop or on a phone? I can access it from both fine, but I’ve had one other person say she couldn’t get it on her phone. It is pdf, so you need a pdf reader…. This may be a weird question however I couldn’t tell from the info provided. Are the canned beans cooked or are they dried beans that need to be cooked? Never mind – just reread your article and saw they are dry. Thanks for the great article! Wow, Misty this is amazing! I didn’t know this existed and there’s a center about an hour from my house. I am REALLY excited about this, and so happy that it’s open to non-LDS members as well. This article is SO helpful!!!! I so glad it was helpful Rebecca! YAY! I just found your site and thank you for this as well. I am a Christian and my family takes food storage very seriously. We have been without work for 2 1/2 years and came to realize how critical preparedness is. I am so excited to learn that non-LDS members can use this service. I have a store about an hour from me and I can’t wait to get started. We have created a long-term food storage building plan. 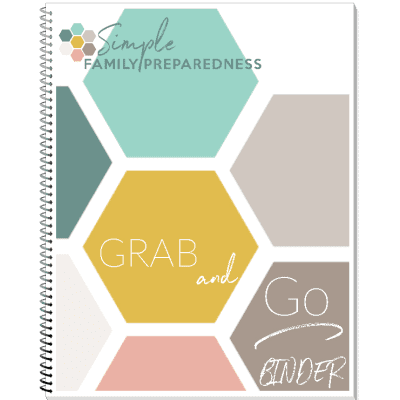 I can also see that the LDS church would want people to be prepared because when we all help ourselves, we are not dependent upon one another and thus can continue the work of the Lord. Thank you Cherie! I’m so SO glad you have found things helpful here! I’m glad to have you join us! Great information! I have wondered why popcorn and the soup mix are no longer available. That wasn’t a question I asked Buena, so I’m not sure. Sorry! Thank you for this article as it was very informative. I am not a member of your church; however, I will soon be visiting a Center in order to increase my long term storage items. I was aware of the Centers but not aware that all people could use them. Thank you again. Yes, go! They are for everyone! Thank you for your wonderful information. I had heard so many rumors about what was happening in this area and appreciate you getting the correct information. I really do need to contact you to learn more about Thrive, and especially Q’s. You are welcome Deeann! It was nice “meeting” you on the phone today! You did a fabulous job with this. I had no idea what my own church had to offer and I’ll bet I’m not alone. I hope you don’t mind if I include some of this in my next prep class. I usually have a class every March or April and I always reference your site on my resource page. Thank you, for the wonderful job you do. You are my favorite resource. Yay! I am so glad it was helpful Regina! You are most welcome to share it and use it to help others! Thanks Misty for this information. I just wish we LDS, here in Britain, could have the same facilities as those of you in the USA and Canada. I am sure the reason why some LDS in Britain are not following First Presidency counsel to store a year’s supply of food and clothing is because the church in the US makes it easier for you to do so with food storage centres and we don’t have anything to compare with that. Also, when trying to get members together for a storage fireside or Relief Society lesson I’ve been told by members of my own ward that “We don’t bother doing that as it isn’t necessary over here; we don’t have hurricanes, storms and extreme weather conditions that those in the US have.” They completely miss the point! I do hope the new storage centres are well used because you are so lucky to have them. We are so very lucky Vee Moore! Truly! But there are still many here who do not follow the counsel, sadly. But I sure am trying to change that! Fantastic article! Thank you for this information. The GMO details were especially helpful. I admire the LDS community for its sense of stewardship (and hospitality), promoting both helping of self and neighbor. Am returning to the page to see if there is a center near our family! Yay! I am so glad it was helpful. Thanks for letting me know! This was very helpful. I was not aware of the change and haven’t been since I could can the products available there. It was a very timely article for me as my daughter was just saying she needed to get some more items and now I can pass this along to her. Thank you for taking the time to find all of this out for us! You are welcome. Tell your daughter good luck! Thank you for this helpful information! I have a center very close that I plan to learn more about now. Good! That makes me happy!